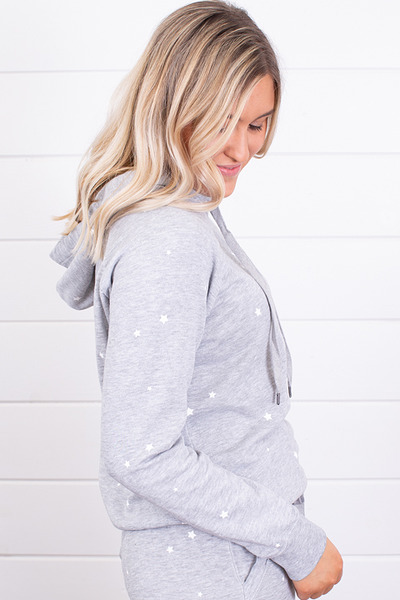 The Star Print Pullover by Z Supply is a cute and cozy piece for a casual day. 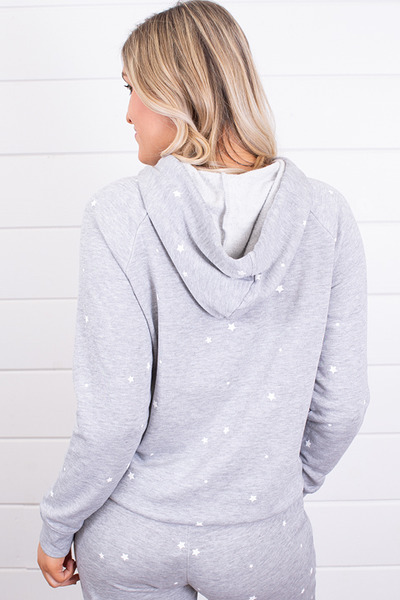 It includes little white stars speckled all over and a drawstring hood. This super-soft fleece paired with the matching Star Print Joggers will have you feeling comfortable and looking darling. 60% cotton and 40% polyester. Machine wash cold and dry on gentle cycle.